Direct from Havana, Cuba and celebrating the restored relations with the U.S., the Havana Cuba All-Stars featuring Cuba’s most prominent musicians bring “Cuban Nights” as part of their North American Asere Friendship Tour to the McAninch Arts Center Sunday, Nov. 6th at 2 p.m. An eclectic mix of song and dance, “Cuban Nights” brings the traditions and styles of the island nation for a one-night-only extravaganza. A free MAC Chat will take place at 1 p.m. This performance is presented under the Auspices of the Ministry of Culture and supported by the Arts Midwest touring Fund, a program of Arts Midwest funded by the National Endowment for the Arts, with additional contributions from the Crane Group. 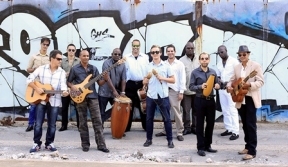 Drawing their inspiration from traditional Cuban Son, Cuba’s greatest musicians have created and maintained the songs and music of the rich culture of the Cuban people in the program, “Cuban Nights.” McAninch Arts Center (MAC) located at 425 Fawell Blvd. 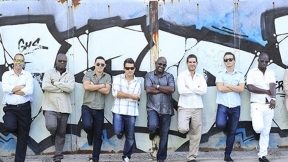 at College of DuPage presents The Havana Cuba All-Stars: “Cuban Nights,” Sunday, Nov. 6 at 2 p.m. Tickets are $39-$49. For an additional $30 per person patrons may add the MAC’s VIP Experience including private, pre-show hors d’oeuvres, wine, beer and champagne reception followed by coffee and dessert at intermission. For tickets or more information visit AtTheMAC.org or call 630.942.4000.